6 October 2011 by J.M. On April 1, 1976, Steven founded the well-known Apple Inc. In 1983, Apple presented one of the first commercially available operating systems with a Graphical User Interface. In 1984, the success history of Mac OS began, being the OS for all Macintosh computers. Even today, Apple products are the best-looking computers available. 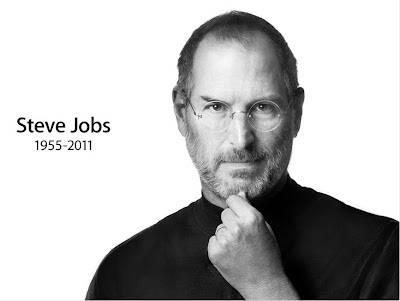 Steve was among the greatest of American innovators—brave enough to think differently, bold enough to believe he could change the world, and talented enough to do it. ... [He] was fond of saying that he lived every day like it was his last. Because he did, he transformed our lives, redefined entire industries, and achieved one of the rarest feats in human history: he changed the way each of us sees the world. How would a world without Macs, iPods, iPhones and iPads feel? To be honest, I cannot imagine. Steve Jobs’ ideas have truly made me Think Different.